Pioneer State Trail Park is located in beautiful Salt Lake City, Utah. 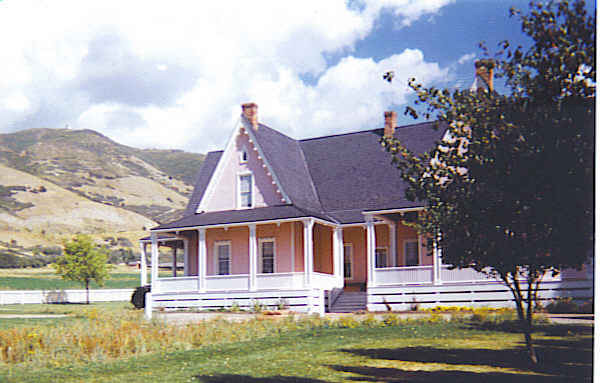 Part of the park is designated as Old Deseret Village and it is here you will find the old Forest Farmhouse of Brigham Young where he had a dairy and experiment farm. This old house is said to be haunted with the spirits of those who lived there long ago. Built in the late 1800s, this two story house with a wrap around porch, even had a ballroom on the second floor. Often you will find people dressed in period costumes explaining and sharing the stories of those early days at the farm. 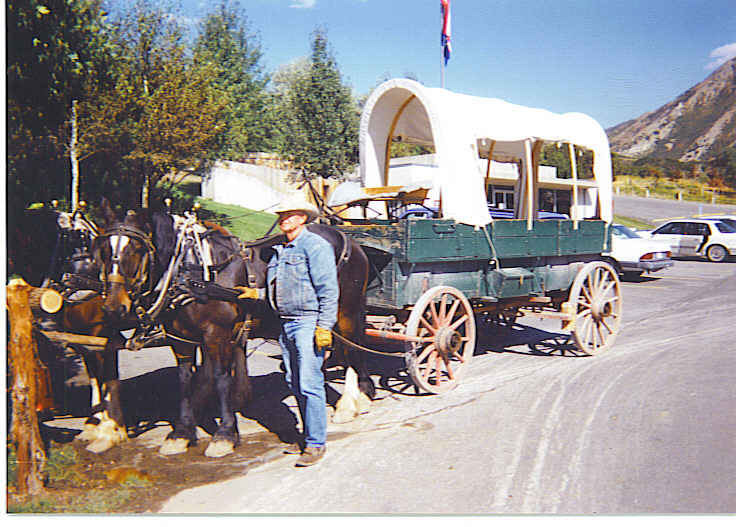 There is even a stagecoach ride pulled by a beautiful team of horses and driven by a real cowboy. During the ride you will pass the bowery a thatched roofed, open-air structure. 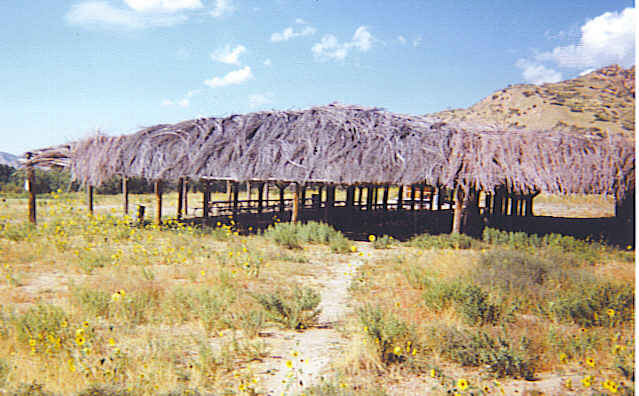 This was a replica of the shelters used by the pioneers for protection of early Saints while attending church or other functions on Temple Square. This was the place to meet while they were building the tabernacle. When the Spirits let by Brigham Young crossed the Wasatch Range of the Rockies through the mouth of Emigration Canyon, they gazed at the New Zion, soon to become Salt Lake City. It is recorded that Young said, “This is the right place.” One woman who walked barefoot from Illinois every step of the way, put on the slippers she had carried the entire trek so she could enter Zion with dignity. At this spot they built a This is the Place Monument, a white stone obelisk, honoring the 1847 settlement. 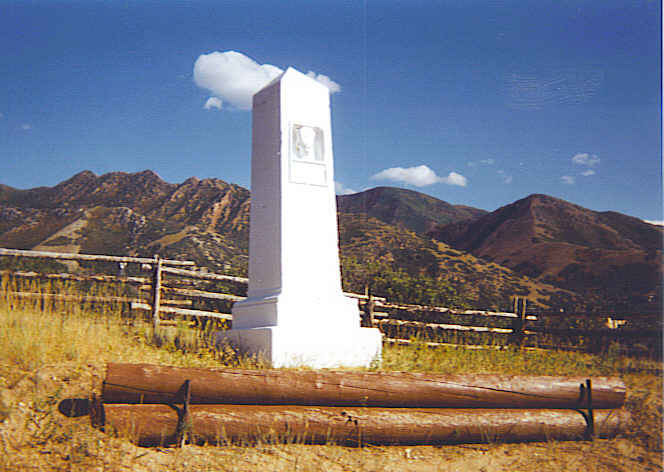 On the 100th anniversary, a new and large monument was erected just down the hill from the original spot. This new monument was designed by the grandson of Brigham Young, sculptor, Mahonri M Young. There are twenty four individuals on the new monument honoring the leaders who settled the Salt Lake Valley. 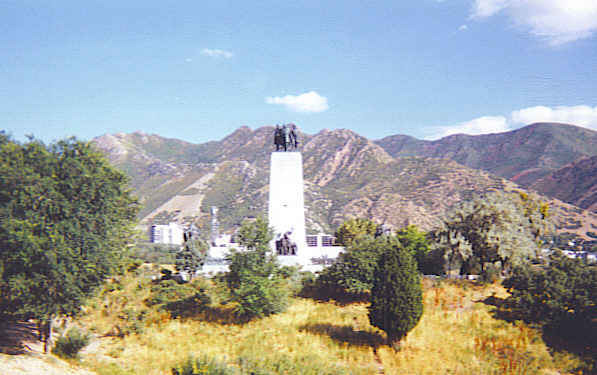 The figures stop the central portion are Brigham Young in the center, Heber Kimball, and Wilford Woodruff, all prominent leaders in the early days of the Mormon Church. Utah is beautiful country with mountains and deserts to explore. Utah is definitely the place to explore and enjoy the history of those early Mormons ,as well as the beautiful red rock structures throughout the state.